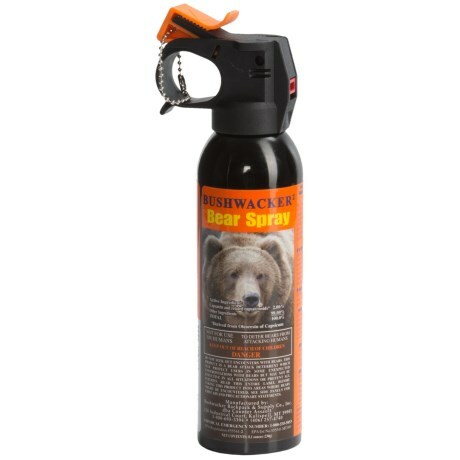 Bushwacker Bear Spray - 8.1 oz. CLOSEOUTS. Counter Assaultand#39;s Bushwacker bear spray is the smart way to protect yourself when hunting or hiking in bear country. The entire canister empties in about 5.5 seconds, and it has a 25-foot range. Available Colors: SEE PHOTO.